People unable to have pets of their own may choose to become foster families for dogs, cats, or other animals for little to no cost. Household pets are notorious for providing easygoing affection and companionship, whether it be a dog, reptile, or anything in between. What these pets have to offer have won them homes in 84 million American households as of 2017, which is over 64% of all households in the U.S. But as most sources of happiness do, pets come at a price. According to the ASPCA, the annual cost of having a large dog is roughly $1,000 per year for basic needs, like food and medical expenses. Additionally, initial costs can be upwards of $2,000 for training, a spay or neuter, and miscellaneous costs. 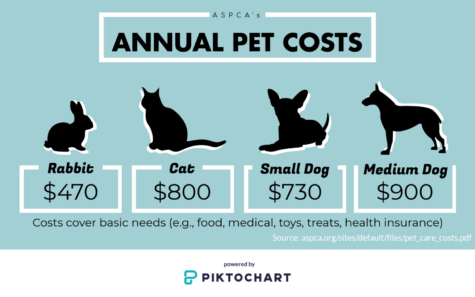 Although annual costs depend on the type of pet, species, and other factors, it may be too much of a cost for some households to take on, not to mention the investment of time and energy that could last several years depending on the pet. This leaves a number of animal lovers that would like to have pets themselves, but are unable to due to price or any other circumstance. “It would be nice to have a dog, but our backyard isn’t big enough, and it wouldn’t be fair to the dog for it to be alone all day while my family and I are away during the day,” said Keilani Isono, a sophomore. But luckily for Bay Area residents, there are many readily available options, like volunteering and fostering, that allow people to spend time with animals without having to make drastic commitments. Many nonprofit organizations rely on volunteers to help them care for the animals that they shelter, like the Homeless Cat Network that works with cats in the San Mateo County. The most common responsibilities given to volunteers at shelters are socializing jobs, where volunteers spend time with the animals so they are prepared to go to their forever homes when the time comes. Other responsibilities include cleaning and feeding, which benefit these organizations greatly by saving them time. “I’ve been thinking about volunteering before, at somewhere like the SPCA, but I haven’t really had the time to sign up for it yet, especially between school and sports. It’s something I’d like to do in the future when I have time to attend an orientation since it’s required at some shelters,” Isono said. 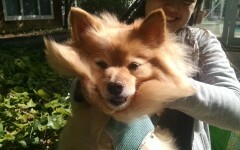 Dominique Veinstein, a sophomore, has also taken an interest in volunteering, although he has a small dog himself. “I would consider it because I am a huge fan of animals all around, and I feel like getting to take care of them could also help me be more responsible in the future,” he said. Fostering is also an option for animal lovers. Fostering allows the animals to receive the care they need away from the shelter while also experiencing life in a normal home and its consistency, until they are adopted. 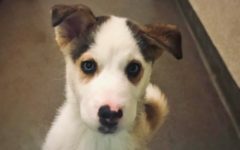 Some organizations, like Oakland Animal Services (OAS), offer to pay for the animals’ initial medical and living expenses while the foster family cares and looks after the animal at little to no additional cost. This makes it a favorable option for those who are economically compromised to experience what it is like to have a pet in the home. At the same time, fostering benefits the community by allowing the shelter to take in more animals without having to care for some of them on-site. 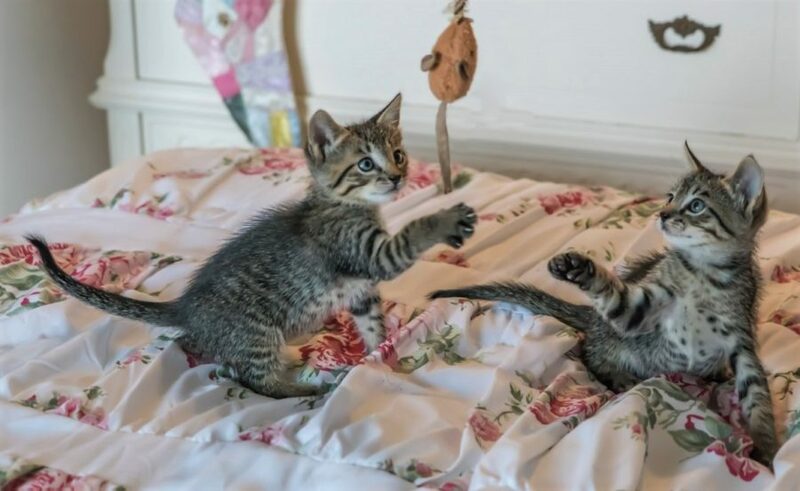 But if the time commitment is too heavy for both volunteering and fostering, the Bay Area also hosts a number of animal-themed events throughout the year that can give people the opportunity to interact with animals. 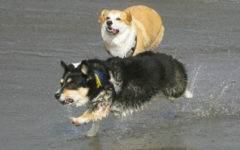 For example, San Francisco’s CorgiCon invites corgis and their owners to socialize during multiple times per year. Last year’s CorgiCon in October saw over 1,100 attendees. Their upcoming gathering is on June 15, 2019. The event is free to attend with or without a dog. When interacting with dogs or any animal and their owners, people are encouraged to be respectful and aware of the animal’s body language, both at the shelter and in public. The Bay Area has a large number of options for animal lovers to interact with animals for little to no cost. With that information, residents may choose how they want to do so. Alyssa Huang is a sophomore. 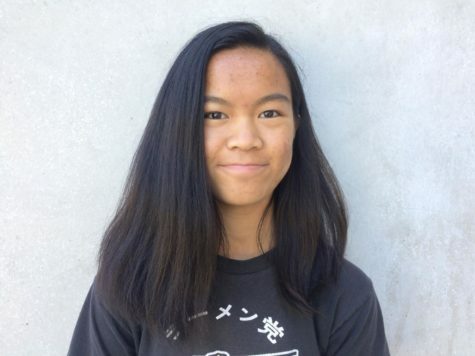 She enjoys creating and listening to music in her free time and is part of Carlmont's music program on the trumpet.